Product prices and availability are accurate as of 2019-04-19 09:45:28 EDT and are subject to change. Any price and availability information displayed on http://www.amazon.com/ at the time of purchase will apply to the purchase of this product. 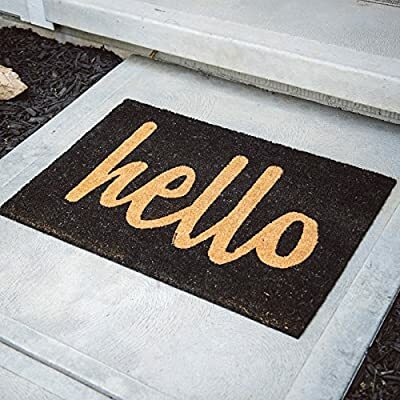 Greet guests to your home with the welcoming charm of the Home & More Hello Script Black Outdoor Doormat. 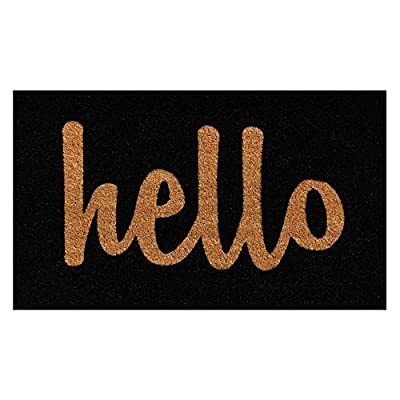 Let your personality shine with this coir-constructed, moisture-absorbing doormat that features a non-skid vinyl back and a thick tufted texture that cleans off shoes before entering. 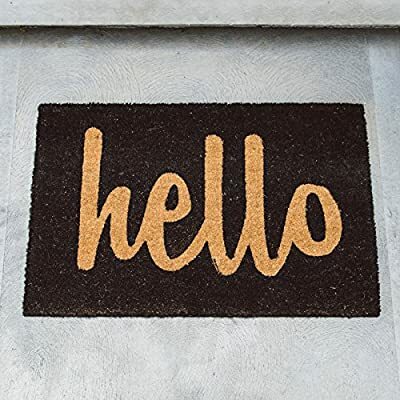 Hued in black with natural script lettering, this doormat adds style and function to your entryway. Available in your choice of size option. 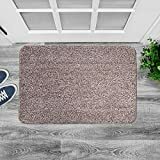 Doormat Dimensions: Medium: 29L x 17W in. Large: 36L x 24W in. Choice of available sizes. 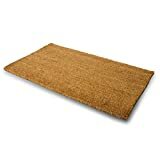 Made from 70% coir and 30% vinyl. 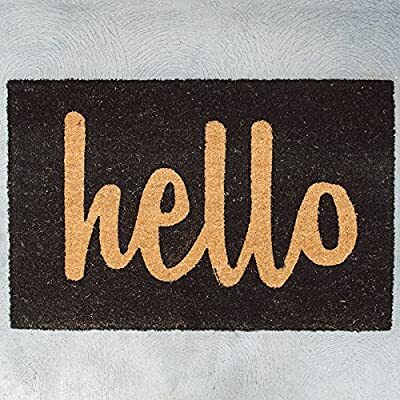 Tufted doormat. 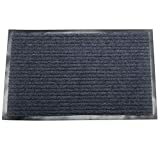 Black and natural colored mat. Weather tolerant mat absorbs moisture. Dense, durable fiber with vinyl back. Will not mat down under high traffic. Centered script text design. Use outdoors.